Losing a parent is an emotional time. Yet there are numerous practical tasks to be undertaken – some quickly, some over time. Here’s a step-by-step guide to what you need to do when a parent dies, written by Louise Pearce from her own experience and her work as a family solicitor at Morrisons. This article has been written using rules that apply in England and Wales. The Scottish government has produced its own useful guide as have the Northern Ireland government services. There’s plenty of help available online, especially from government websites, and you can of course call on professional legal services for any aspect of the work if it starts to get too complicated. If you’re in the sad position of finding your parent, or someone has notified you without doing anything more, the first thing to do is call your parent’s GP surgery or the hospital and they’ll give you advice on what needs to happen next. 1. Get a medical certificate. You can get this from a doctor. If your parent died in hospital, this will be provided by the doctors there. If your parent died at home, their GP or the hospital should help. If the death occurred in a public place, the emergency services are likely to be involved, with possibly a post mortem if there is a referral to the coroner. If your parent died overseas, the rules are a little different. 3. Organise multiple copies of the death certificate. You will almost certainly need to purchase more than one copy of the death certificate to register the death with various companies so get enough copies (see below). 4. Arrange the funeral. Check to see if your parent has a funeral plan. They may already have paid for the funeral and decided what they want. If not, check the will to see if your parent has suggested the sort of funeral they would like. You can arrange the funeral yourself or through a funeral director. You’ll need the certificate for the burial or cremation, received from the registrar, to do this. You may only need to pay a deposit at this time yourself, which your parent’s bank will reimburse on production of a receipt. The bank should also pay the final invoice from your parent’s bank account without argument. Do check though. 5. Notify the benefits agency. When you register the death there is a form (white form) to complete and send off. This notifies the local benefits agency of the death. 6. Managing assets in the short term. If you held power of attorney, that will now be at an end. Don’t attempt to use your parent’s assets or access their account without the right authority, except for paying funeral expenses. If your parent was a patient under the court of protection, that’s another agency that should be notified. 1. Check the will. Did your parent leave a will? This normally names executors who have the right to deal with their assets. With no will their close relatives can deal with this. 2. Request grant of representation. If you are the executor, decide if you need official documentation (grant of representation) to deal with their finances (known as their estate). You will normally need this if there is a property and it may be required by the institutions holding their assets. Consider if you want to try to obtain this yourself or with professional help. 3. More notifications. Some joint assets pass to the survivor automatically and this can be done by registering the death certificate with the institute or company. Others will need, a grant of representation, and each institution will have its own rules. Many organisations have a bereavement department, and once you’ve notified them they will write to you with their requirements. Ask them for account balances, interest for the tax year and debts outstanding- all as at the date of death. This saves it being done again later. If you don’t have enough copies of the death certificate, you can order more. 4. Return identification. You should also return any driving licence to the DVLA and the passport to the passport office. 5. Claim bereavement allowance. If your parent has left a wife or husband, it may be possible for them to request an allowance for a year. This needs to be claimed within three months. 1. Value the assets. Gather together details of all assets. You need to know the values of all assets as at the date of death. Properties may need to be valued, account balances obtained and details of income and interest for the tax year in which they died. It’s easier to obtain details when you notify the companies of the death in the first instance. 2. Pay inheritance tax within six months. Apply for the grant of representation if you haven’t already done so and pay any inheritance tax due. Inheritance tax is due within six months of the death, otherwise interest is charged. You may need help with this but the papers you require can be found online. 3. Collect in assets using the grant of representation, cash in shares, and empty savings accounts. You can put the house on the market but you can’t exchange and complete until the grant of representation is through. 4. Pay any debts. If your parent was in a care or nursing home, contact the home to find out if there are outstanding costs, as this can take some time to confirm. If you’re not the executor, communicate details of all outstanding debts to whoever is. 5. Distribute the remainder of the estate. Only once debts have been paid can you share out the estate. 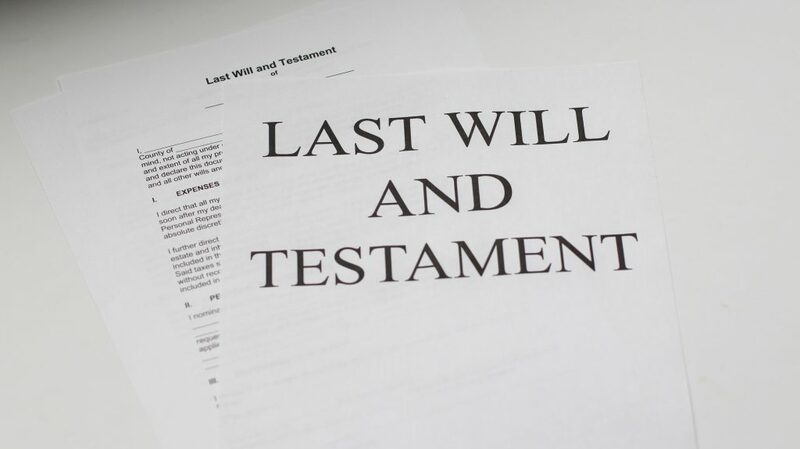 This is done according to your parent’s will or, if there is no will, according to the Intestacy Rules in England and Wales and similar rulings elsewhere. You can reduce the workload at a difficult time by being quietly prepared for the paperwork.